Mark F. Grant is Florida Bar Board Certified in Real Estate Law. He concentrates his practice in the areas of real estate acquisition and development, condominium and homeowner association documentation, commercial leasing, workouts and commercial lending. He has represented thousands of clients in the acquisition, financing and development of residential, commercial and industrial properties. Mr. Grant has a statewide reputation as a specialist in the area of large residential, commercial, hotel, and mixed use developments. In addition to representing developers and other purchasers and sellers of real estate, Mr. Grant serves as counsel to country clubs, condominium and homeowner associations. Mr. Grant served as Co-Chairman of the Condominium and Planned Development Committee of the Real Property, Probate and Trust Law Section of The Florida Bar. He is a frequent lecturer for The Florida Bar and the University of Miami Institute on condominium and cluster developments, and serves as a faculty member of that Institute. He has also lectured on the Fair Housing Amendments Act of 1988 for the American Bar Association at its annual convention and for Multi-Housing World at its annual convention. In April 2008, Mr. Grant was elected as a Fellow of the American College of Real Estate Lawyers (ACREL), and presently serves as Chair of its Common Interest Ownership Committee. 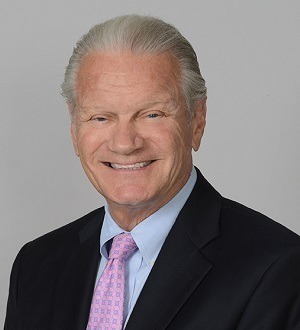 Mr. Grant is a former Member of the Board of Directors of the United Jewish Community of Broward County and, in addition, served as Chairman of its Business and Professional Division. He is a past President of The Wharton School Club of South Florida; past Chairman of the Motion Picture and Television Task Force of the Broward Economic Development Council, Inc.; past Chairman of the Advisory Board and past President of the Broward County Film Society. He has also served as Chairperson and Special Advisor to the Downtown Fort Lauderdale Transportation Management Association.